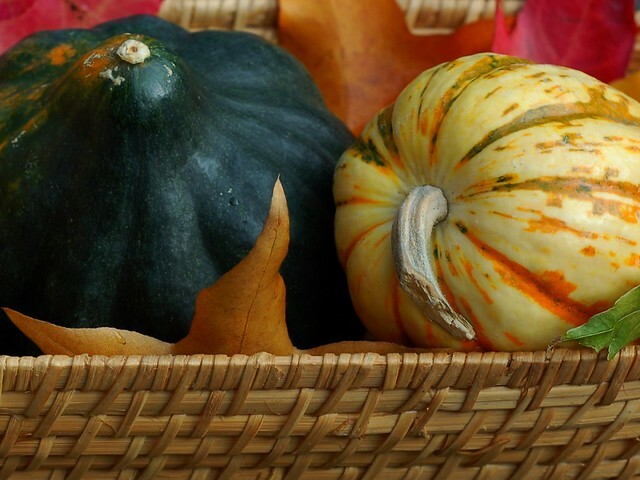 From the dense, sweet flesh of the kabocha to the rich, orange flesh of the butternut to the pale yellow, sweetly nutty flesh of the delicata and more, winter squash have a lot to offer, especially with Thanksgiving just around the corner. Their rich, flavorful flesh is delicious so many ways - both savory and sweet. 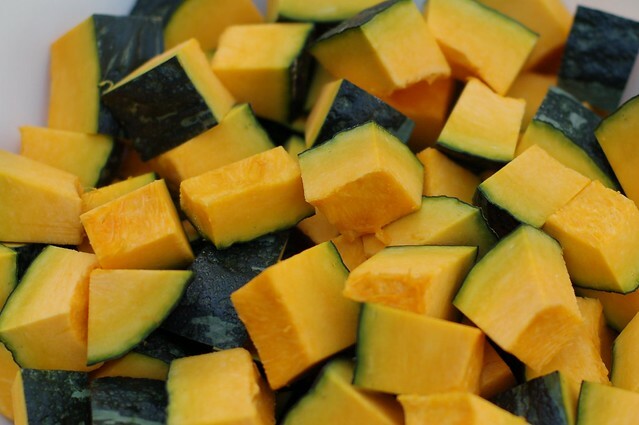 These squash also pack a nutritional punch -- high in dietary fiber, low in calories and filled with goodies like vitamin A, vitamin C, a whole bevvy of B vitamins, folate and more. 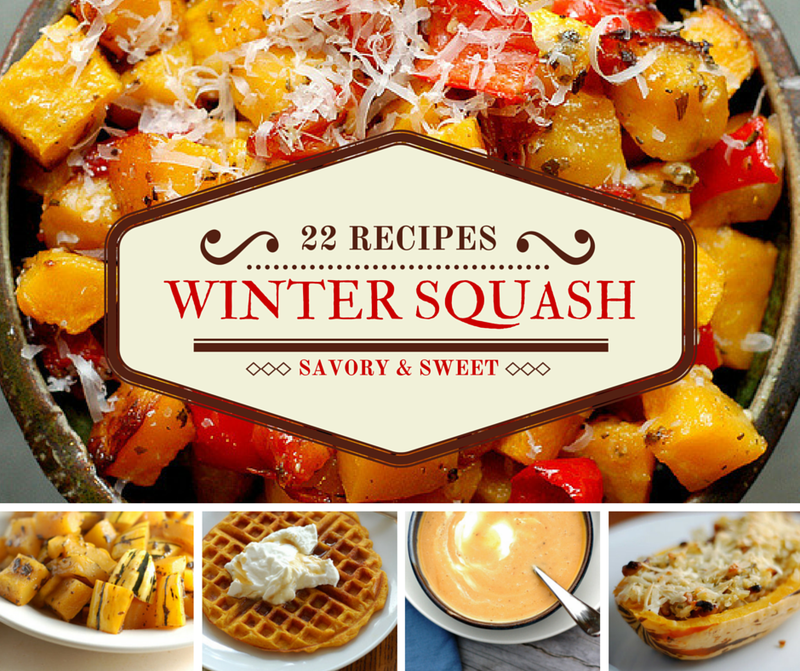 Winter squash are also cheap and readily available all year due to their long shelf-life. Look for locally-grown, organic varieties and consider growing your own next year - it's really easy! 1. With a few exceptions, you can substitute any winter squash for whatever I have used in the recipes below so don't get hung up on the specific type. 3. 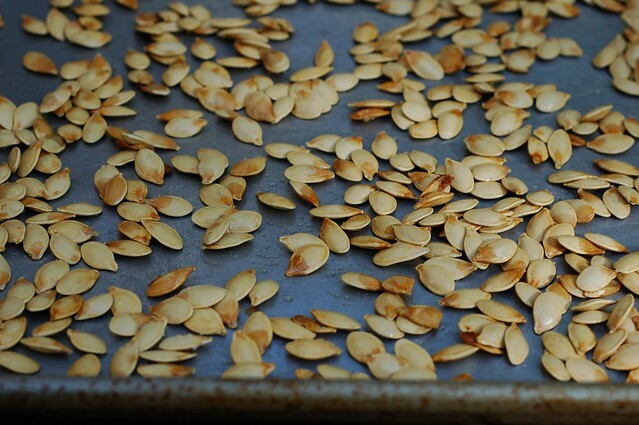 Try my tip for an easier way to de-seed squash. 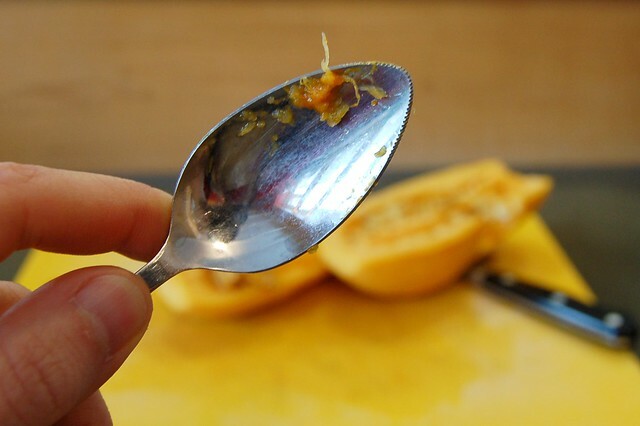 Pear adds a nice floral sweetness to the nutty squash and sage anchors the flavors with its earthy astringency. Add a dollop of sour cream or creme fraiche to make this extra rich and serve with peasant bread or brown rice and a green salad. 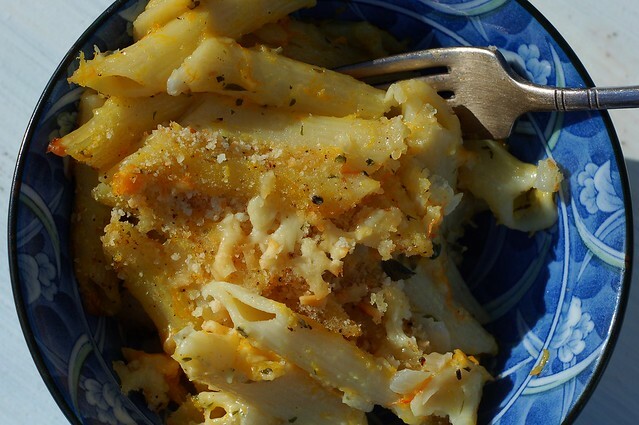 This is a wonderful go-to meal that is packed with flavor and also wildly good for you. 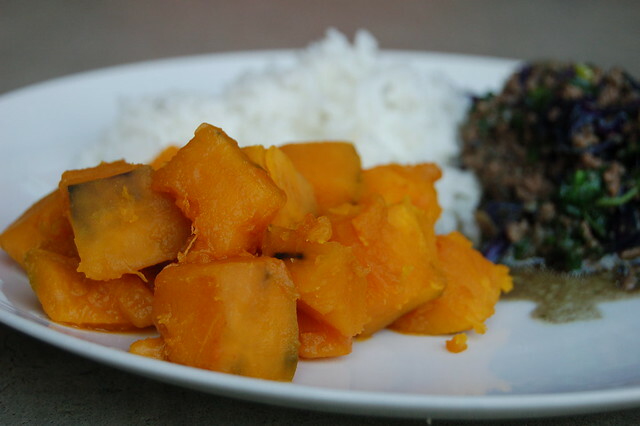 The vegetables are flexible but kabocha squash is one of my favorite additions because it's dense, fluffy, sweet flesh pairs so nicely with the warm curry powder and the coconut milk. Vegan to boot! Beautiful purple and green mustard greens have a spicy flavor that mellows nicely when cooked. Paired with dense, sweet kabocha squash, rich, creamy coconut milk, curry powder and chicken, the greens add a wonderful kick to this hearty one-pot meal. 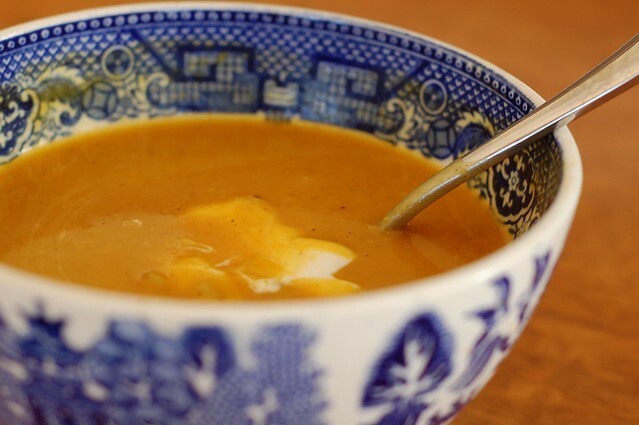 A super simple, super tasty vegan soup made with sweet butternut squash, creamy coconut milk and warm, exotic curry powder. You can't lose with this soup! If you're not a vegan, top with a little sour cream. 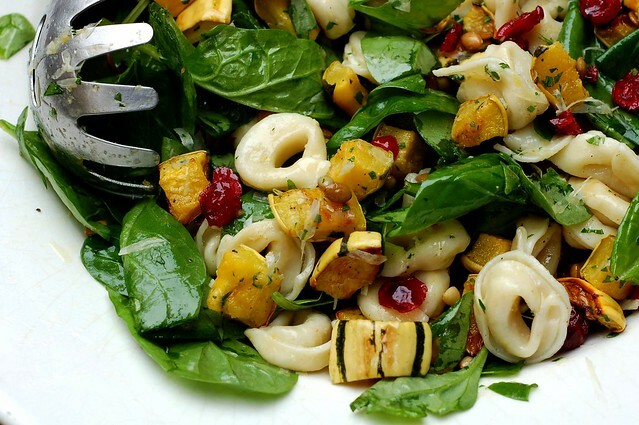 The sweet, slightly nutty flavor of the delicata squash is perfectly accented by the toasted nuts, gooey cheese and the mellow, sweet garlic. Fresh or dried sage adds a lovely, earthy note. This hearty, vegetarian main dish has never failed to please. 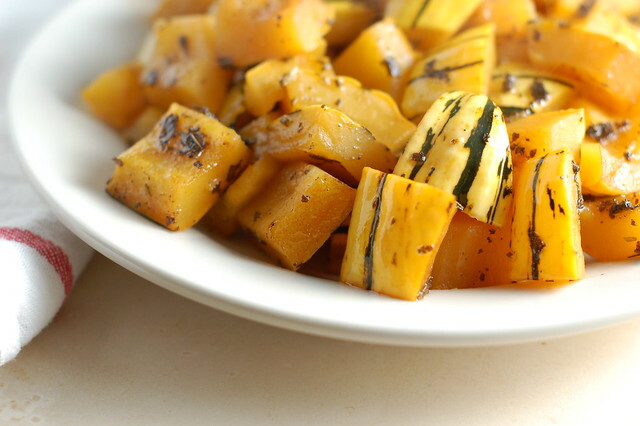 You can substitute a different winter squash, of course, though delicata is my favorite for this recipe. Pair red kuri squash's sweet, mellow flavor with a little heat and lots of exotic spices - jalapeno, ginger, garlic, cumin, onions and good old garam masala. 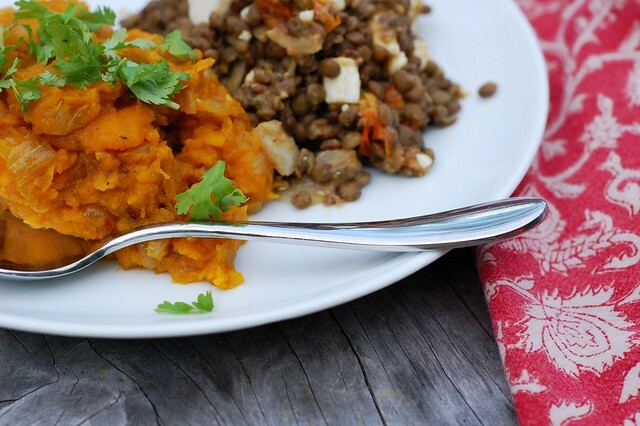 Top with some fresh cilantro and serve alongside stewed lentils (or chickpeas) and brown rice for a hearty, nutritious meal. 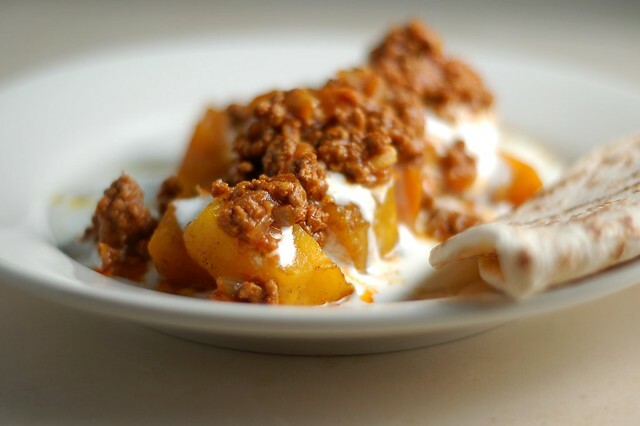 Iin this Afghan favorite, sweet baked pumpkin is topped with a tangy, minted yogurt sauce and a drizzle of deliciously spiced beef. Use flatbread or naan to mop up the wonderful mix of sauces. The flavors are surprising and addictive. 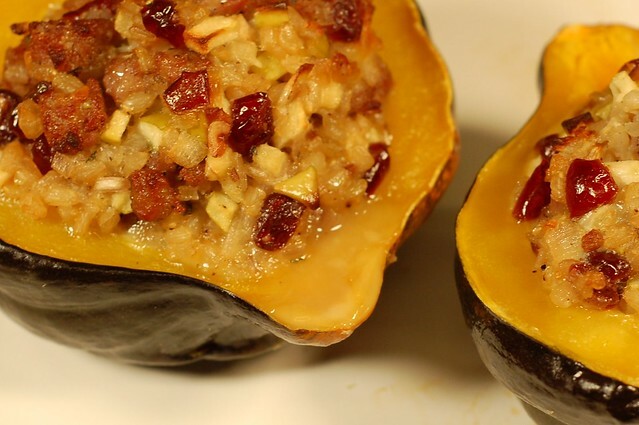 Nutty, roasted acorn squash is complemented by rich sausage, sweet-tart dried cranberries, onion, a little grated apple, rice and a little fresh sage that provides a warm, earthy note. Divine! 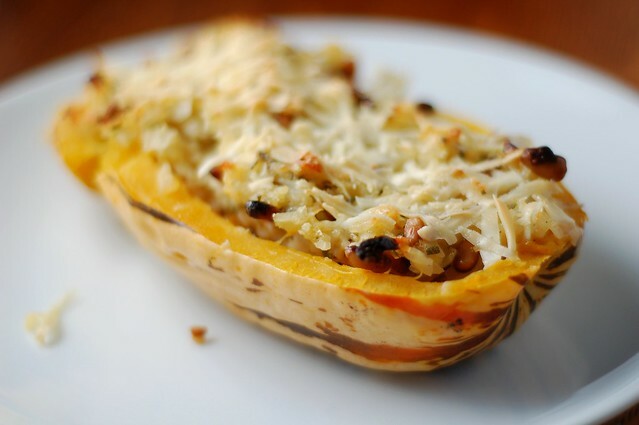 Acorn squash require a bit more cooking time than delicata or butternut so you should pre-bake before filling and baking again. 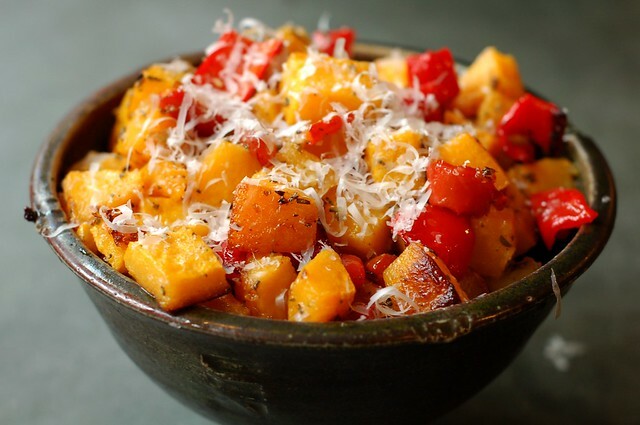 An Italian-inspired stuffing for sweet roasted butternut squash. 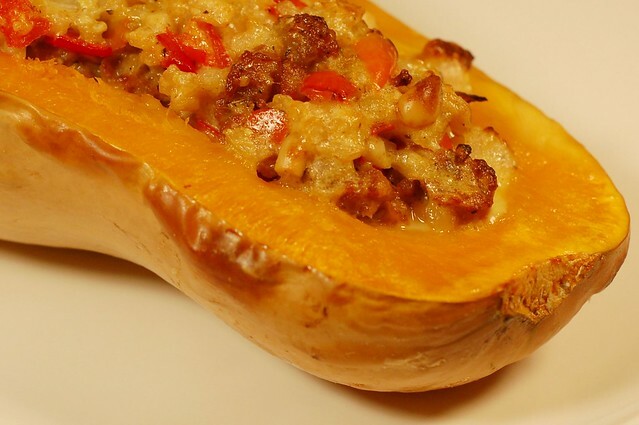 Pine nuts, sweet Italian sausage, red pepper and Parmesan cheese make for a decadently delicious stuffed squash. And it's just as good, or maybe better, the next day. 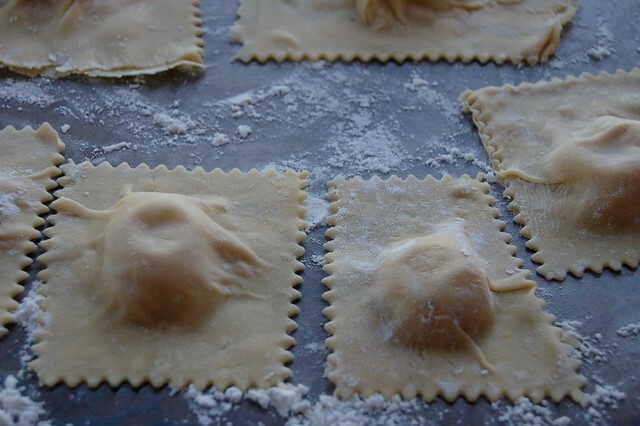 If you have a chance to make these ravioli, invite some friends to join you and turn it into a party - many hands make light (and fun) work. Make extra and freeze them - you will be so thankful later! Farro is one of those trendy ancient grains that is delicious and easy to cook. 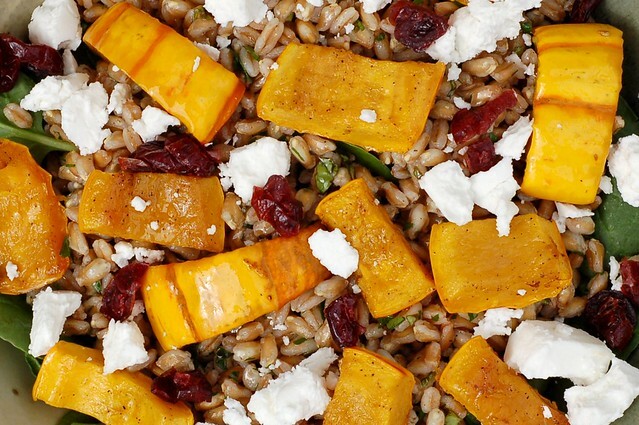 The nutty, mellow grain provides a perfect backdrop for sweet, roasted delicata squash, fresh greens, creamy, tangy goat cheese and a sprinkling of dried cranberries or cherries. Homemade mac 'n cheese is pretty incredible on its own but it "goes to 11" with the addition of roasted pureed pumpkin. Thyme, parsley and savory give it even more depth and flavor. Yum! 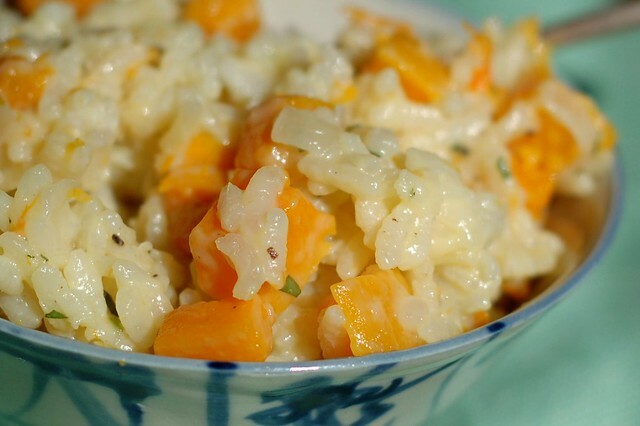 Creamy, savory risotto pairs beautifully with the sweet, richness of roasted butternut squash. 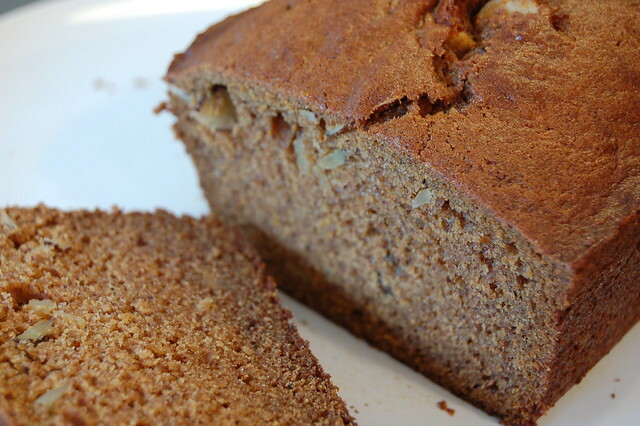 There's some stirring involved but the end result is well worth the effort. 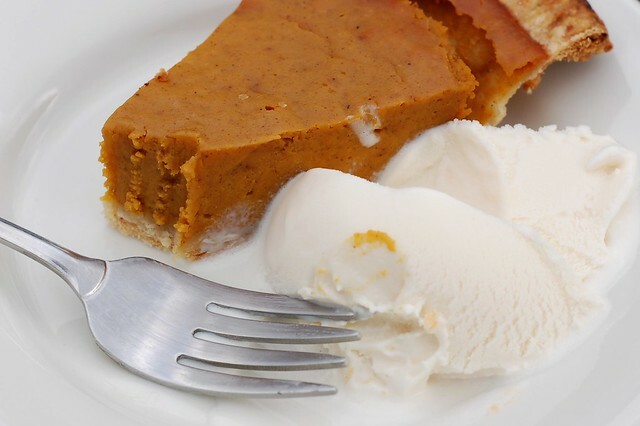 Of course there's no reason not to enjoy a traditional pumpkin pie. 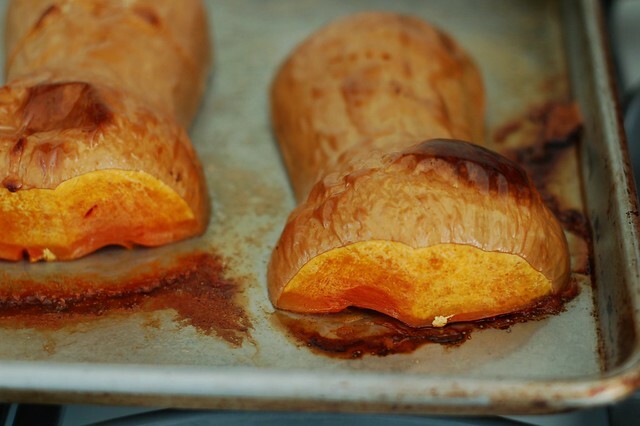 Just make sure you get a sugar pumpkin since the kind you buy to carve do not taste good (though the seeds are delicious roasted!) 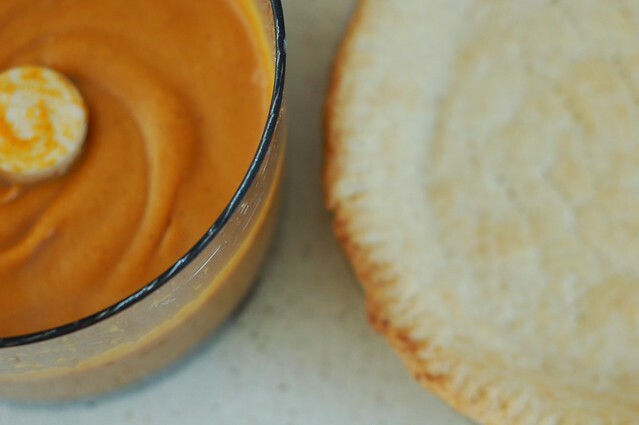 This recipe calls for a pat in the pan pie crust which is surprisingly easy to make or you can use whatever crust recipe you prefer. 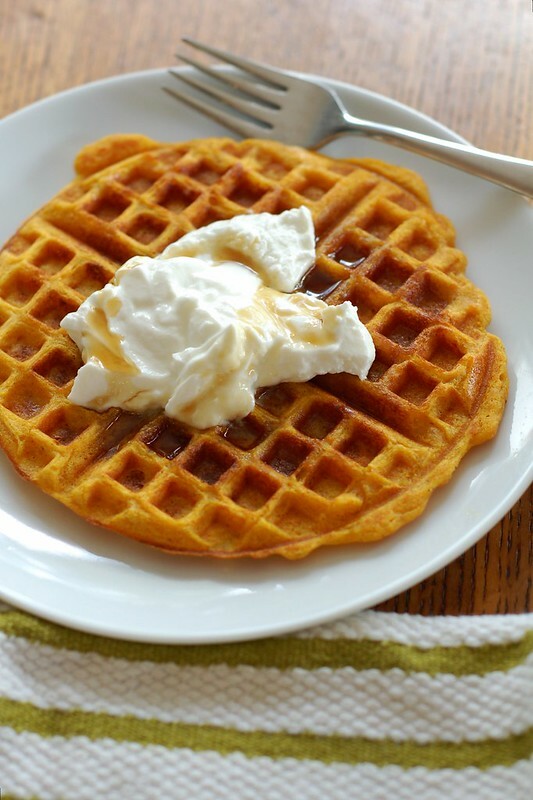 Butternut squash adds flavor and nutrition to classic waffles. Cinnamon, cloves, nutmeg and vanilla tie everything up in a cozy, warm package. 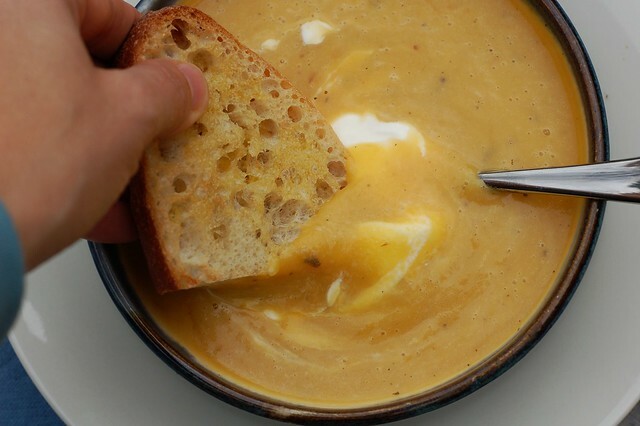 Top with maple syrup and a dollop of whole milk yogurt for a delicious breakfast or brunch.